I have some good news, and some GREAT news. Thanks to the engagement and feedback of our developer community, we are making all Indie plans free. The free Indie plan will also include Hyperloop! That’s right — previously reserved for our Pro and Enterprise plans, Hyperloop is now available for *all* Appcelerator developers, across *all* plans. But hold it — aren’t apps only as good as the data and services they connect to? Well, true. That’s why the Indie plan also includes API Builder (formerly Arrow Builder), which gives you an absurdly powerful way to connect your apps to any backend data source in mere minutes. Really. This announcement is first in a long line of things we’ve got coming, all of which make our dev community even more central to what we build. What if I already purchased an Indie plan? Easy. If you bought a monthly Indie plan, your plan will simply set to free at your next monthly renewal. No more monthly billing. There’s nothing else you need to do. If you bought an annual Indie plan, we’ll do you one better — we’ll upgrade you to a premium Pro plan at no charge, for a full year. When it comes time to renew next year, you can decide to stay on Pro, or downgrade to the free plan. We’ll email every Indie Annual subscriber the details, along with the steps to claim your free upgrade. How do I get started with Hyperloop? You can find everything you need, including sample apps, here. How can I upgrade to the Pro or Enterprise plan? If you want even more dev power, you can upgrade your free Indie plan at any time. For a comparison of seat plans, see our pricing page. What if I need push notifications or other MBaaS services? We’ve got you covered. Any seat plan, including free Indie, can easily add cloud services. Even better, all seat plans include our powerful API Builder (formerly “Arrow Builder”), so you can quickly create mobile-optimized APIs for any backend, and then purchase whatever cloud capacity you need to run them. Again, see our pricing page. Thank you! Thank you! Thank you! oh and thanks! Just wondering is Hyperloop being slowly turned on for Indie accounts? This post says that it is “now available”, yet I have tried and cannot use Hyperloop. I even created a new test project with SDK6.0.4 and nope, Hyperloop has the question mark icon and is not available. Hi Rob – log out and back in. If that doesn’t do the trick, please contact support. Thanks! That’s great, now any body can also purchase some Hyperloop module, ready for use, on loopmodules.com at a -25% discount price with the coupon: FREEHYPERLOOP. Thanks for the free Indie Plan ! The App Designer is not for the indie plans ? Hi Ricardo – Thanks for the question. App Designer is included with Pro and Enterprise Seats. Guys, we were fighting with your platform for about 3 years, we are engaged with all milestone you’ve done. 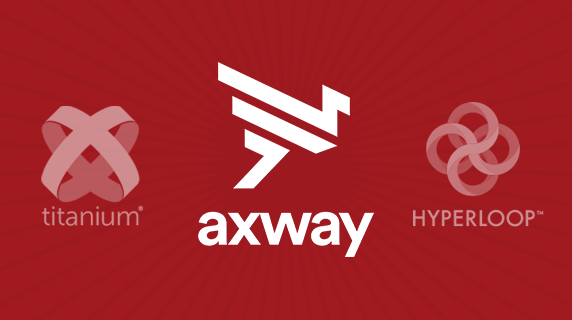 What we are most happy about, is that the decision we toke 3 years ago to choose the best cross-platform tool for hybrid development which was Appcelerator, guys you make it and it’s really the best platform for us. Hyperloop was the new technology, that we were waiting to use, but we were sad that it was a premium feature. But, this announcement enters the pressure in Appcelerator developer community after a long time of targeting premium users. Guys keep it forward, we are here fighting here by your great platform and solution. Super awesome news, and very generous on your part. I have used your platform to develop a project for a client, and was very impressed with your features and stability vs. the competition. Keep up the great work, and thank you!